Apple designs the iPhone to make a visual statement. The iPhone X is the ultimate expression of this approach. Unfortunately, the reality is that carrying around an unprotected iPhone is a virtual guarantee that you’ll be carting its shattered remnants to the Apple Store for repair or replacement. It’s not really a question of if, but when. Especially with the iPhone 8 and iPhone X, where glass is used front and back. If reality is going to intrude and force you to slap on a protective case, the aesthetic situation doesn’t have to be dire. 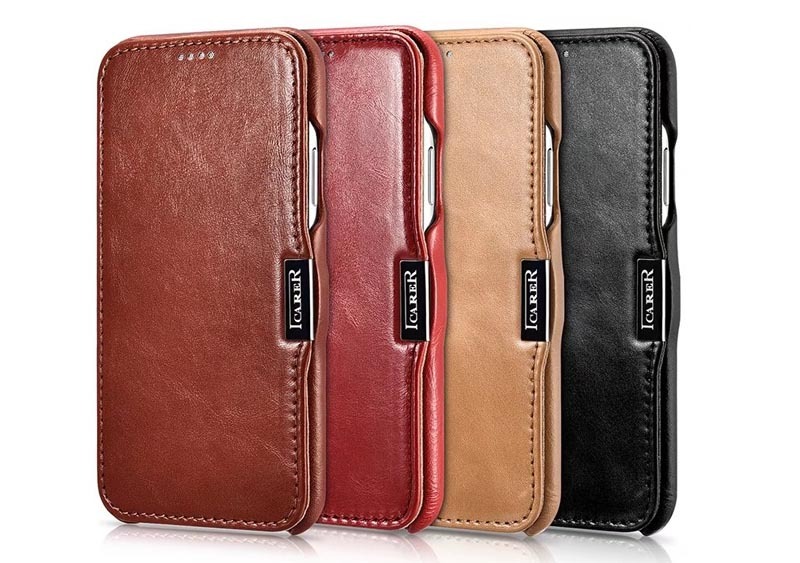 iCarer makes an assortment of slim cases that offer protection from bumps while complementing your iPhone’s look with high-quality leather. iCarer is a China company that does a particularly nice job of working with leather. Its iPhone cases offer a sleek, low profile look, with the leather tightly molded to corners. Cutouts are chamfered and the buttons are covered but fully functional. Inside, Japanese microfiber is used to protect the iPhone from scratches, while adding some padding. Overall the two cases I tried out were featherlight and added no bulk to my iPhone –just the 1 mm extra depth required for a protective lip that keeps the display from scratching when placed face-down. You can read about it here, iCarer iPhone X, iCarer iPhone 8 Plus, iCarer iPhone 7 Plus, iCarer iPhone 6s Plus, etc.